It's only your big night once, so you'll want you and your hens to stand out when you hit the town. This Bride To Be Sash in Pink With Black Writing is perfect for drawing attention to the group and making it an unforgettable night! This wonderful sash is pink with elegant black writing that reads 'Bride to be'. 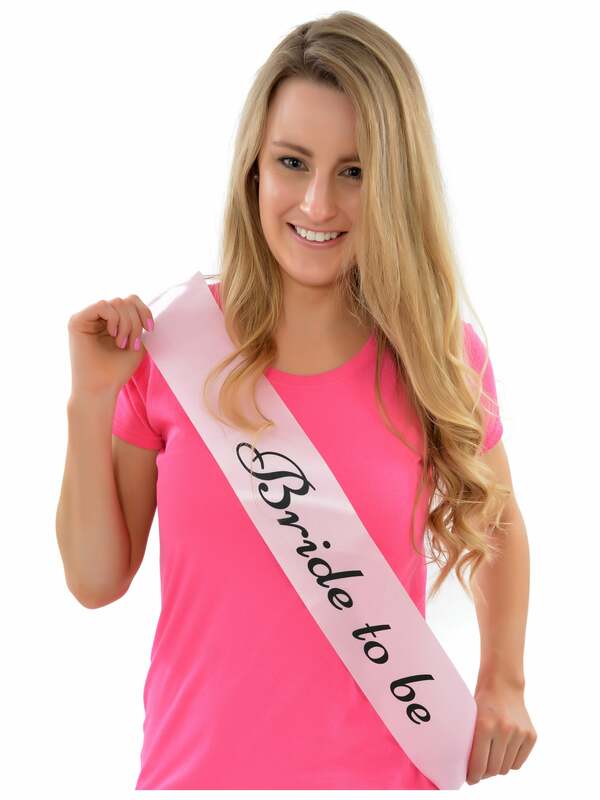 Coordinate with your guests and get the matching Hen Party Sash too! Showing our 4 Bride To Be Sash Pink With Black Writing reviews with an average rating of Very Good. Would you like to write a review? I ordered 3 of these types of sashes for myself and 2 other members of bridal party - very happy with them considering they’re not even £1 each!!! The material isn’t particularly good quality but who cares when you’re only wearing them for one night.